Afghanistan has been bombarded for almost four decades, first by Russia, then by NATO – led by the USA and its western allies. Since the beginning of the so called ‘war on terror’ in 2001 and under the disguise of building police and military structures, the german forces are actively involved in Afghanistan. However this didn’t lead to an increase of security for the people. On the contrary. Even according to official figures the number of killed and injured people between 2007 and 2015 has multiplied in the course of the armed conflict: Last year alone, more than 3,500 civilians died in Afghanistan and in the first half of 2016 another 1,600 were killed. The actual number of injured parties since the beginning of the alleged "war on terror" can only be speculated. Many of these people will suffer permanent physical and mental damages. The numbers speak for themselves. The UN speaks of currently about 2 Million internally displaced persons in Afghanistan, of whom some had to flee several times already. The warlike actions between various 'warlords', the Taliban, the Afghan and international military still don’t allow a safe and civil life in Afghanistan. We are here because you destroy our countries! Which safe and politically stable country does the Government speak of? In which safe country does the Minister of the Interior de Maizière have to wear a bulletproof vest while getting off a military helicopter, flanked by several heavily armed soldiers? The German federal government and de Maizière must finally admit that their military endeavor, like that of the Americans, the British and earlier the Soviet Union, has failed miserably. So far, each of these interventions, mostly masked as humanitarian democratization or development aid, has only exacerbated the life of the Afghan population. They have only left behind a war that has been battered and scarred the country in the course of the last 37 years by poverty, corruption and violence. Anyone who wages war on foreign soil, extinguishes all hope for integrity, and thus creates the danger to life and limb, must expect people leaving their homeland and their families to lead a safe life elsewhere. The 40,000 refugees who have fled the long and cumbersome way here have a right to seek shelter in a safe and wealthy country that lead and leads the war in their homeland. Like our brothers and sisters from Syria and other countries whose lives are being destroyed by imperialist greed and war. We say it again: "We are here because you destroy our countries"! The repatriation plan adopted two months ago, without any parliamentary and social debate, and the 'Joint Declaration' at the Brussels 'Afghanistan Conference' between the EU and the corrupt Afghan government, is a coward and unacceptable retreat from responsibility for the German Government after 15 years of bitter war. This declaration stipulated that over the next four years, Afghanistan would receive around € 13 billion of development assistance and, in return, would take back up to 80,000 Afghan men and women from Europe – 40,000 alone from Germany. Repatriation plan? Trade with human life! This trade with threatened human life is contrary to all the humanitarian principles which European states like to decorate themselves with. We oppose the planned deportations of thousands of Afghan refugees from Germany and the EU into the misery and death that the people in Afghanistan await. You cannot get rid of a war! We refugees, as well as survivors of those killed in the war, know that we will not find safe areas in Afghanistan. There is still war and no infrastructure that allows a civilian life! The Taliban, the Afghan military, various warlords and the Western military do not provide security. There is no internal flight alternative in Afghanistan. This prospect is only the wish of the German Government! Afghanistan is NOT a safe country. The concept of ‘safe countries of origin’ is fundamentally cynical and contemptuous. It says nothing about the situation in a country like Afghanistan (or Morocco, or Serbia), but it exists only because of the domestic political needs of a rich country like Germany. The aim is to deter refugees and migrants. This is the only purpose of the ‘safe countries of origin’ concept and therefore we reject it in principle! -	A safe residence permit that protects them and not - as is the practice today - long-standing procedures and grueling tolerances (Duldung). -	Access to education and the labor market and not - as is the practice today - the exclusion from integration and language courses. STOP all nationwide deportations to Afghanistan! Safe status for all Afghan refugees in Germany! 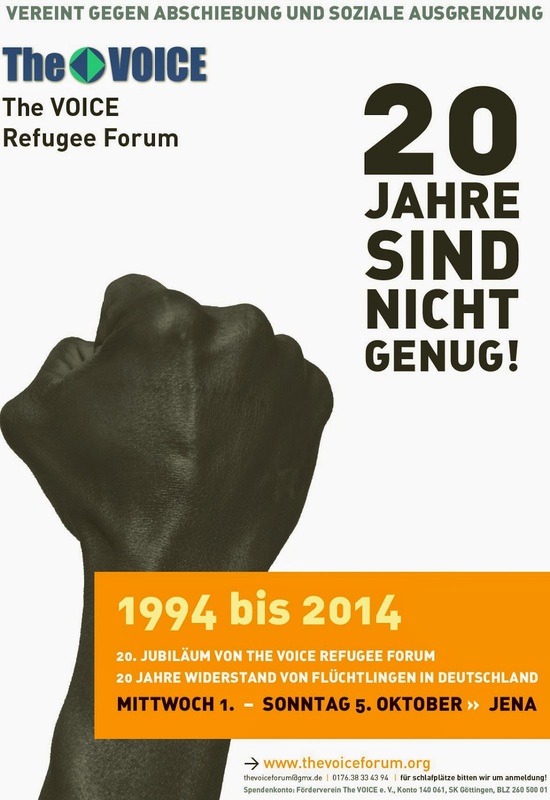 Bleiberecht (right to stay) also for rejected asylum seekers from Afghanistan! *The original version of this call was made by „Nedaje Afghan – Afghanischer Aufschrei Düsseldorf“ for the demonstration in Düsseldorf on: Saturday 26th November, 2016 (DGB-Haus / Nähe HBF) starting at 13pm and was amended for the Demo in Bremen.